Deciding to get an eye surgery needs particular caution, validation, and intensive evaluation. The benefits can be immense but, as with any medical procedure, there can be disadvantages and even, for a small minority, adverse effects. The cost of laser eye surgery is one of the things to be considered. However, this should be compared against the ongoing costs of glasses and/or contact lenses which can be extremely expensive. It is also worth remembering that constantly wearing contact lenses also carries some risks for your eye health. For many people, being able to see clearly without the need for glasses or contact lenses can have a huge positive impact on their quality of life. To be able to read without hunting for those reading glasses; to be able to clearly see the birds and butterflies in your garden can be pure joy, and it may also help some people work more efficiently. The cost of laser eye surgery, also known as ‘refractive surgery’ or ‘vision correction’ can vary from £1,000 per eye to over £3,000 per eye. This will depend on the type of surgery, the reputative and location of the practice, the qualifications and experience of the surgeo, and the aftercare offered. . Cheapest, as with most things in life, is definitiely not always the best, but price is not the only determinant to ensure that you will get the best laser eye surgery. Refractive surgery isn’t available on the NHS for people who just want to improve their eyesight. Laser eye surgery is only offered for serious eye conditions that may lead to vision loss if they aren’t treated. If you have a condition that can be successfully treated through the use of contact lenses or glasses, e.g. hyperopia (farsightedness), myopia (nearsightedness) and astigmatism, vision correction surgery may be suitable but will need to be paid for privately. Aside from the cost, there are other considerations that you need to evaluate before considering laser eye surgery. Assessing the pros and cons will help you decide whether it is right for you or not. According to the Royal College of Ophthalmologists, more than 95% of people who’ve had refractive surgery are happy with the results. Eye surgery is a delicate process, but the utilisation of modern tools and technology provides a fast and safe solution to what was once considered a significant problem. It won’t take you long to have a clear eyesight again after the surgery. Results can be seen as early as forty-eight hours right after the operation. As well as the ongoing costs involved, laser eye surgery has, for many, life-changing results that can change the patients’ outlook and boost their esteem and confidence. They can excel more and do the things they love to do, which were previously hindered by having poor eyesight. Laser eye surgery is a permanent and one-time solution for your eye problems. As we have mentioned, compared with glasses and contact lenses, which will require you to have a maintenance ad repetitive treatment, laser eye surgery is for long-term benefit. 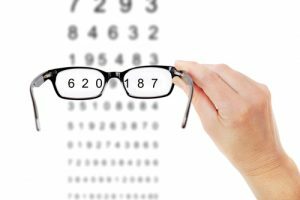 Financially speaking, it is also an advantage in the long run since the expenses are much lesser than your repetitive treatments when maintaining healthy eyes at lower costs. Whilst most people have excellent results with no adverse reactions, these possibilities must always be considered. It can be expensive and this is usually the main reason why some chose not to pursue the option of having laser eye surgery.. However, some medical institutions and centres are able to offer affordable financing options. 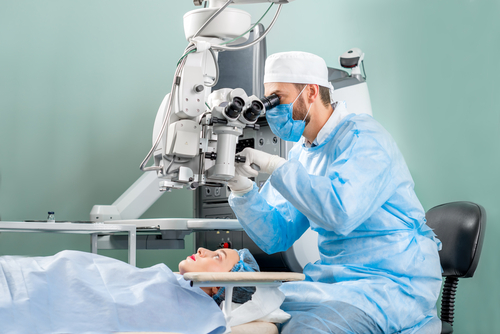 Although laser eye surgery is a fast process, it does not mean that you are operational right after the surgery. You may need to take a few days off from your work. The recovery stage varies from one patient to another; usually, it takes a couple of days but occasionally it could be weeks or even longer. Short-term side effects such as dry eyes and halo effects are fairly common, but these normally settle down quite quickly. Always discuss any side effects with your doctor. This can seem very uncomfortable: your eyes may feel dry, gritty and uncomfortable. This is normally temporary, but there are rare cases of having this issue as a permanent condition for anyone who had undergone laser eye surgery. Specific eye drops may be subscribed. Some glare or halo effects is also one of the possible side effects of laser eye surgery. This experience is common during the first two months; however, it will gradually improve as time passes. Balancing the benefits and potential risks is something very individual. It should always be what feels right for you and you should certainly never feel pressurised to make a decision.